To view this area you'll need Adobe Flash Player. It's free to download and easy to install on your computer. To get Adobe Flash Player click here. 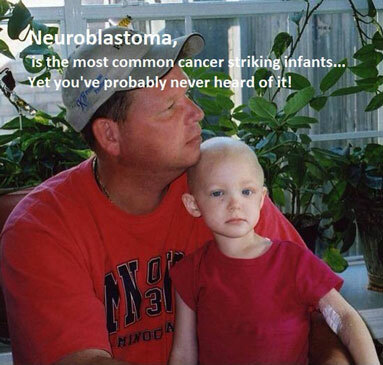 Founded by Scott and Becky Scasny, the Amazing Grace Golf Classic has raised over $750,000 to fight neuroblastoma, the pediatric cancer that claimed the life of the Scasnys' daughter Grace in 2006. She was 2 years old. The annual Houston tournament that bears her name attracts more than 200 golfers, celebrity athletes, corporate sponsors and their families, with fun for all ages. "We play to win the battle against this cancer," said former Green Bay Packer Ryan Pickett. "Together we can find a cure." Proceeds benefit the Children's Neuroblastoma Cancer Foundation, a Chicago-based nonprofit that has raised more than $2 million for research, education, awareness and advocacy. ©2006 - 2019 Amazing Grace Golf Classic is an annual Houston-area charity golf tournament fundraiser. All Rights Reserved.